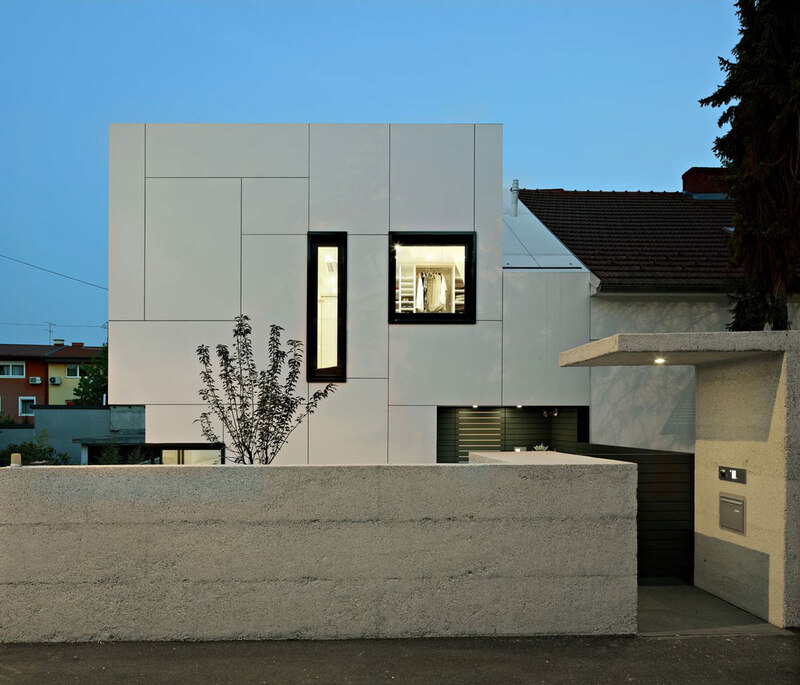 The A+A House was completed in 2012 by the Zagreb based studio DVA Arhitekta. 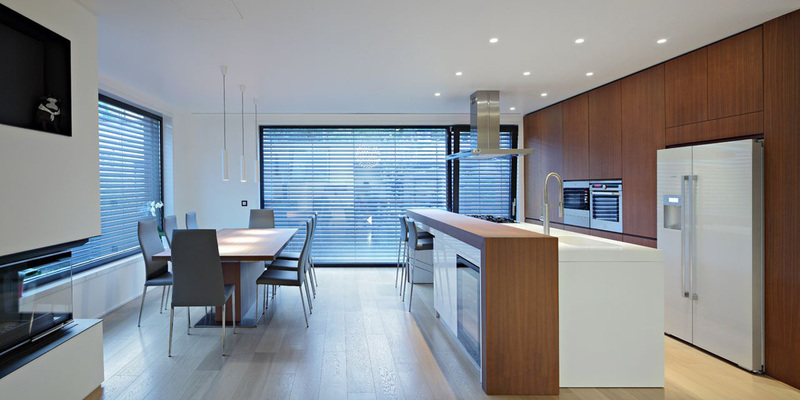 This project included the redesign and expansion of a semi-detached house for a young couple. Located in Zagreb, Croatia. 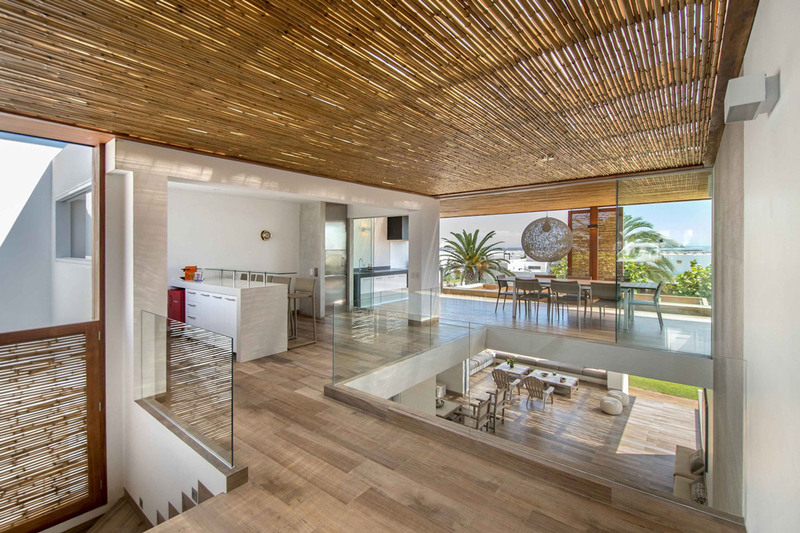 “Family house for a young couple with a dog is situated in the city area where both grew up. 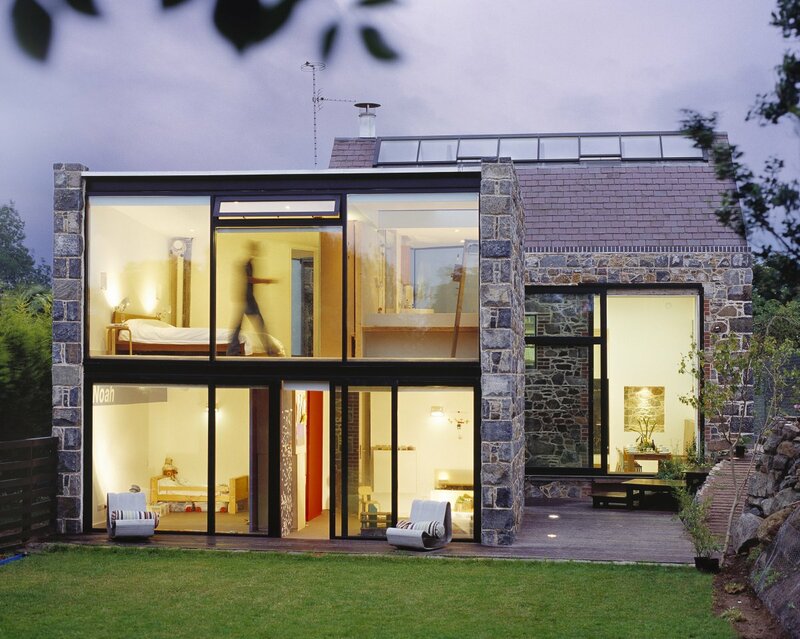 The situation found on the site was a semi-detached house, a substitute half was to be designed. 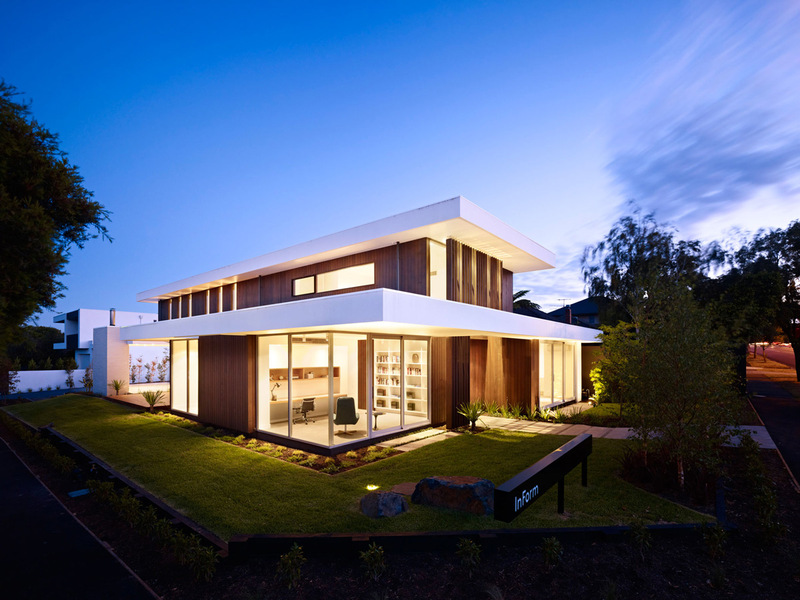 The increase in surface area was possible, but in respect for the structure and rhythm of the neighbourhood it was decided to keep the existing building outline, though the assignment programme was substantially wider. The new house follows the neighbouring one at the point of contact, but further along it expands, most obviously on the roof. 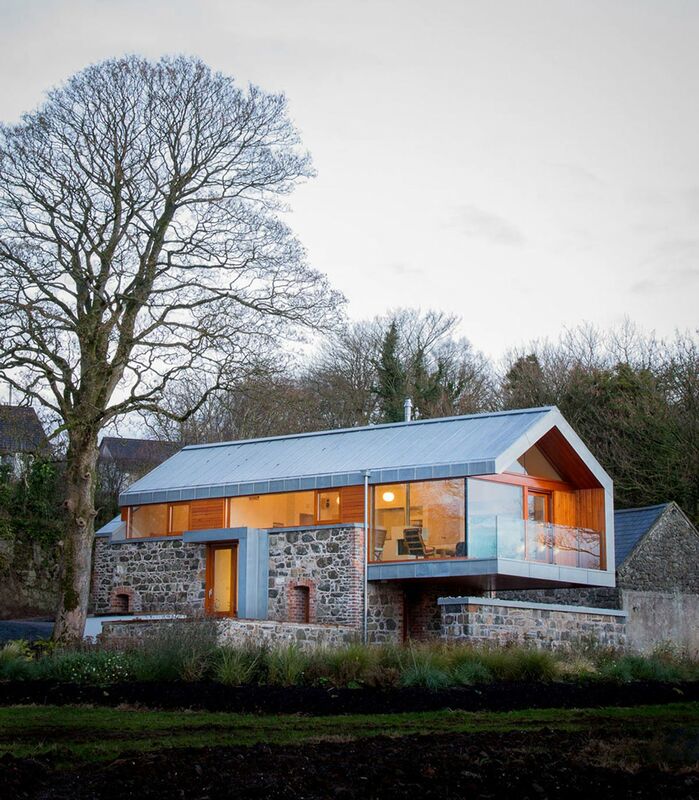 The roof dormer, an element widely used in the neighbourhood, is used here too to get additional space under the roof. 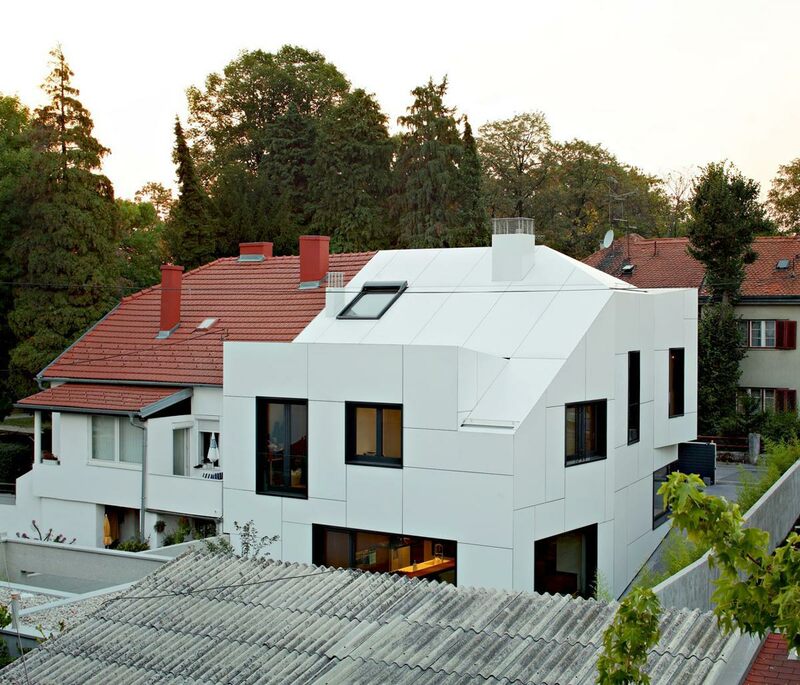 Since oversized dormers effect the facade greatly, the two get equal cladding. 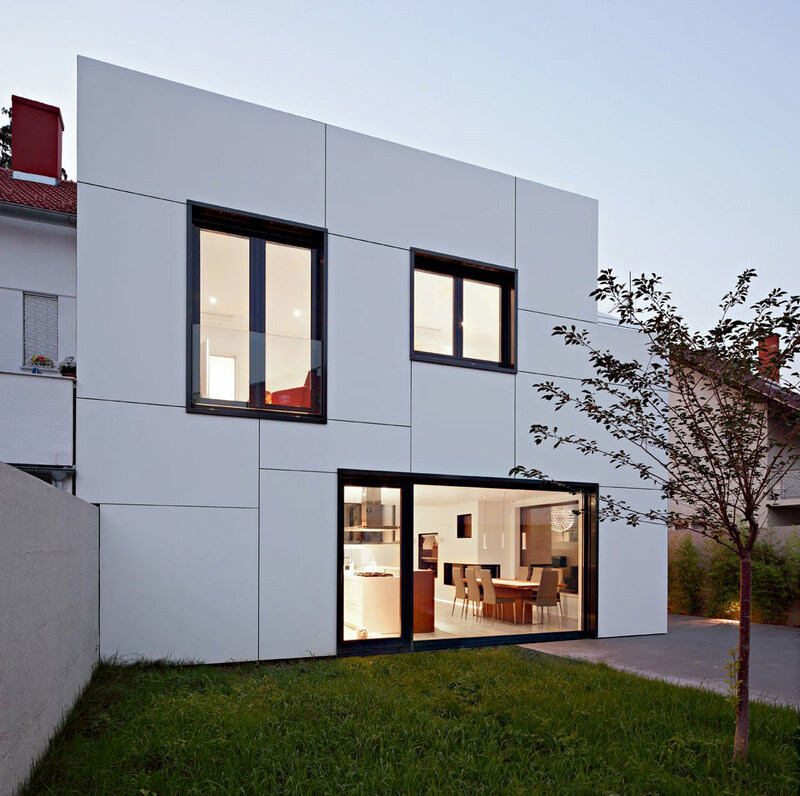 Discontinuity of the house is alleviated by perpendicular raster of the cladding panels, into which the openings fit. 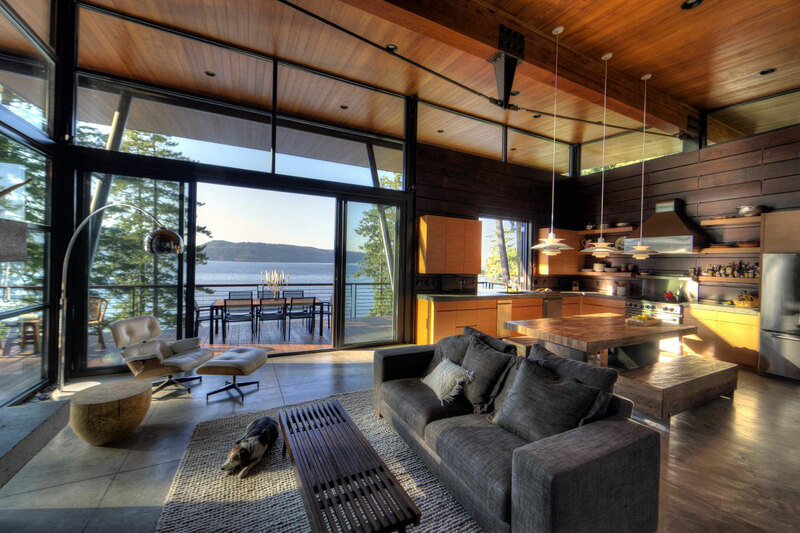 Opposite to the abstract exterior, intimate and warm interior is made to suit the clients.